If you collect Aeroplan points, you might be surprised to learn that you can take surveys to build up your Aeroplan points balance. Although making purchases using a credit card offering points is one of the quickest ways of earning points, completing online surveys won’t cost you a dime, and can help you earn your way to Aeroplan miles. 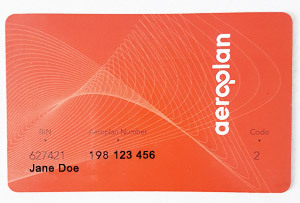 Originally created in 1984 as an incentive program by Air Canada, in 2002, Aeroplan was sold to Aimia, a loyalty rewards program management company. There are approximately 5 million Canadians who are active members of the Aeroplan program, with over 150 partner brands where members can collect miles from. Most Canadians are aware that as of 2020, Air Canada will no longer be partnering with Aeroplan, and will create a separate loyalty program for their travelers. Even without Air Canada, the Aeroplan program will continue to operate. As they prepare to lose their biggest partner, Aeroplan is currently exploring ways of improving their program to keep Canadians interested in collecting points and redeeming them for lucrative rewards. Many Aeroplan points collectors opt to exchange their points for flights through airlines such as Air Canada, through there are in fact thousands of different reward options available on the website. Collectors can redeem their miles for thousands of different merchandise offerings including gift cards to big brand stores, restaurants, hotels, car rental companies, and more. Luggage, jewelry, fitness equipment, electronics, appliances, and dozens of other options are also available. Aeroplan truly has an extensive merchandise catalogue. Legerweb is a Canadian survey site where you can earn Aeroplan reward miles for every successful survey completion you make. Transfer your earnings to your Aeroplan account in easy 500 point increments. You will be asked to supply your Aeroplan number so that your account can be properly credited. Alternatively, through Legerweb, you may also earn cash paid by cheque, Air Miles Reward Miles, or pre-paid VISA cards. AskingCanadians is another survey panel where you can earn Aeroplan miles for taking surveys. Other reward options include points from HBC, Petro-Canada, and Via Rail. Besides having to spend money to earn points, when you purchase a flight through Air Canada, you only earn up to 1 Aeroplan Mile for every dollar spent purchasing an eligible ticket through AirCanada.com. Contrast this with Legerweb, where with just $20 worth of points in your survey account, you can receive 500 Aeroplan points. Alternatively, if you prefer to skip using a loyalty program all together, Legerweb offers $20 cash payments issued via cheque, or Visa pre-paid cards.